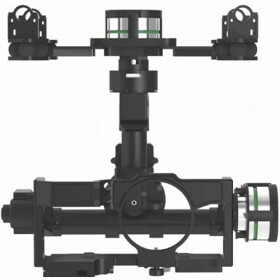 The DJI S800 EVO is the latest revolutionary HexaCopter platform designed with the high end aerial photographer in mind. 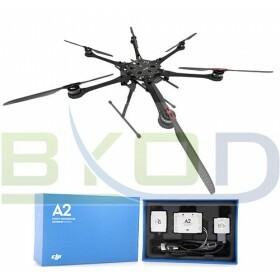 The S800 EVO HexaCopter kit is best used with a DJI Wookong M Flight Controller, the retractable landing gear is included in the kit which allows a full 360 degree (Yaw) view from the camera without the view being obstructed at any point. 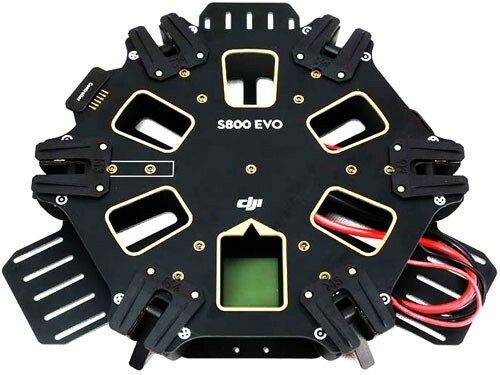 The S800 EVO has 6 powerful (500 watt) brushless motors fitted with 15 inch carbon fiber propellers allowing for increased payloads to be carried with ease due to the strong and stable power system. 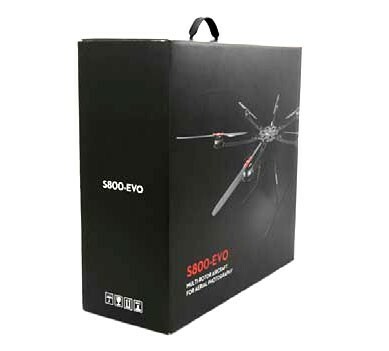 The S800 EVO is very efficient and has power in reserve to ensure responsive flights. 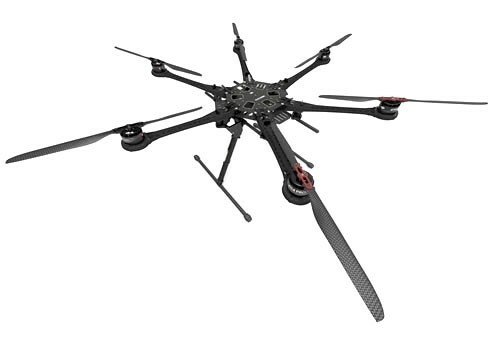 The S800 EVO is the most durable HexaCopter to date from DJI innovations to combine both portability and the greatest level of stability. 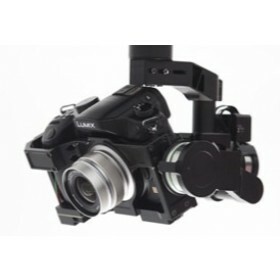 DJI S800 EVO HexaCopter design continues with innovations, additional features on the frame which include a strengthened and more rigid airframe structure with superior vibration dampening absorbers integrated directly into the S800 EVO airframe deliver the smoothest possible environment for the Zenmuse gimbal and camera to deliver class leading aerial photography and video. 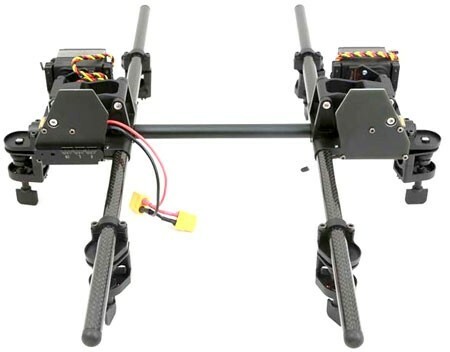 The foldable propellers means increased portability with a smaller footprint when being transported from location to location, additional extended trays on the lower frame plate mean mounting auxiliary items like video transmission systems or other electronics is very easy due to the expanded room on the lower frame plate. 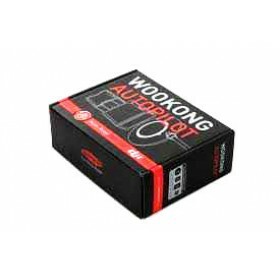 The S800 EVO benefits from newly designed motor and ESC configuration which have a built-in centrifugal fan to deliver optimized cooling and heat dissipation; the ESC’s (electronic speed controllers) have a new and more efficient control algorithm and are equipped with an internal heat sink. 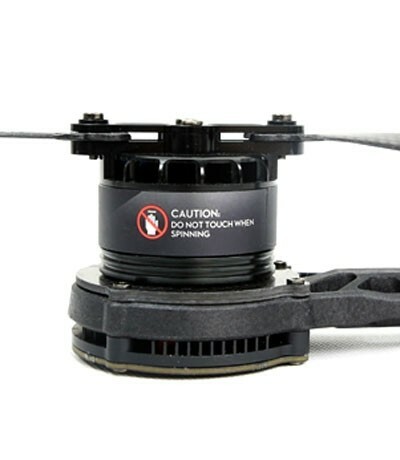 The ESC’s have an integrated LED design; the bright LED’s improves visibility of the aircraft for easier orientation while in flight.